1. 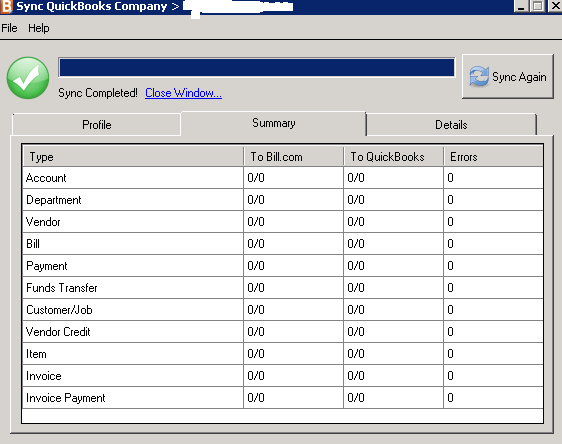 Open your company’s QuickBooks file, and log into Quick Books. 2. 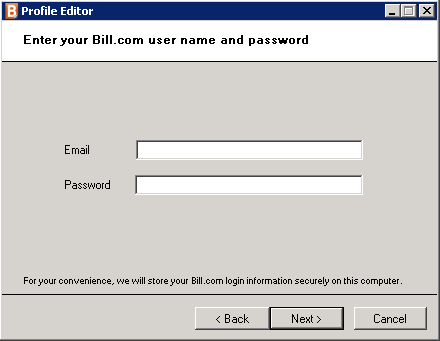 Log into Bill.com using your Bill.com email address and password. 3. Open the Bill.com Sync Dashboard by selecting the shortcut on your remote server desktop. 4. Once the Dashboard opens, select New. 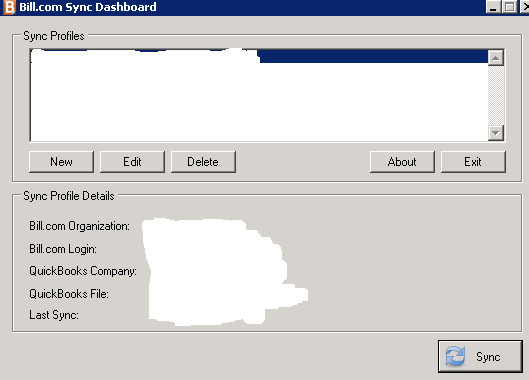 This will open the profile editor, reminding you to have the QuickBooks file you wish to sync open. 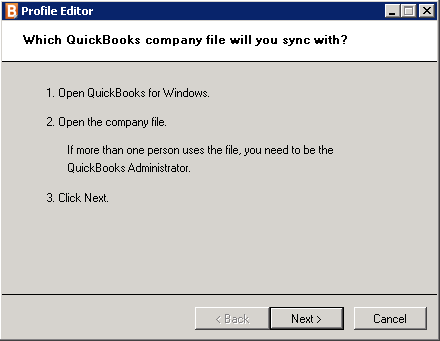 Note: for the initial sync/setup you will need to be logged into QuickBooks using Administrator’s credentials. 5. Select Browse to search for your company file. When prompted, enter your Bill.com email address and password to continue. 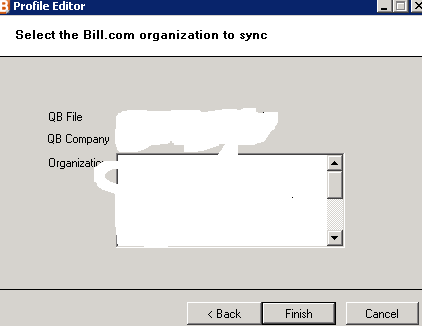 At this point you may be prompted by QuickBooks to set permissions for Bill.com to access your company files. 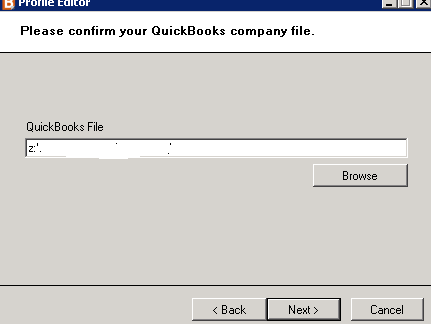 Select “Allow access even when QuickBooks is not running” and click OK.
6. Confirm your organization by selecting it from the list of organizations that appears. If prompted that company names do match, simply select Yes to continue. 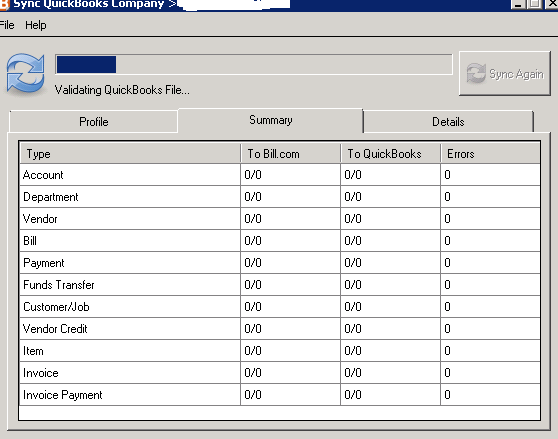 additional changes to their company’s QuickBooks files following the initial sync.